Your users have missions to perform. A motivation to return to the community. Your community comes alive with badges. Badges reward achievement levels and add to a Hall of Fame, a gamified competition is established between your users. Users discover which behaviors are rewarded in this gamified process. The interface dedicated to gamification is intuitive - it allows your users to see live progress on the platform. Each member has his own level of experience, which evolves according to his activity on the site and points obtained. On his profile in the "badges" tab, each user can consult the available missions (to unlock) and missions accomplished (unlocked). When a user triggers an event that gives him points, he is notified via a notification system, and the database is automatically updated. He is also relaunched about the rewards that are within his reach or that he is on track to get. 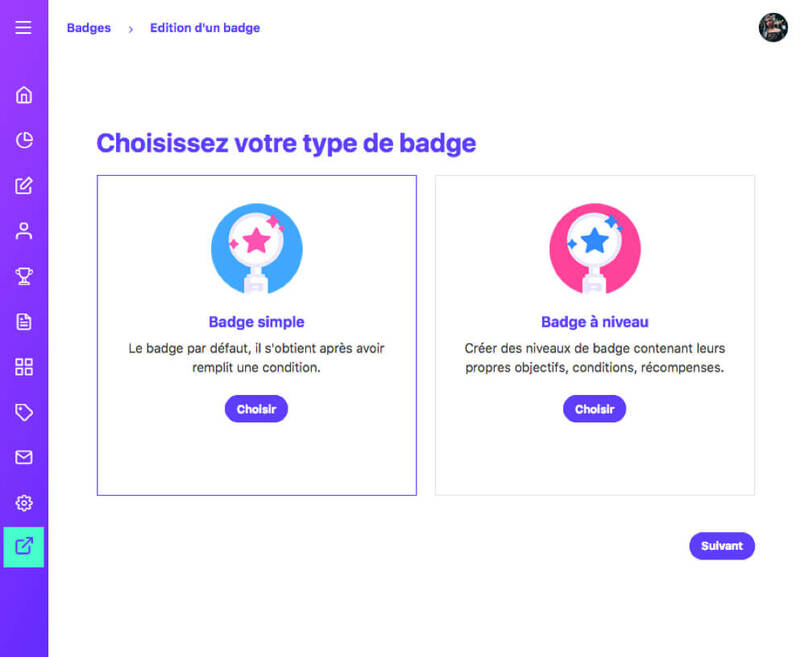 Add a badge to the default collection or create your own rules from the beginning. 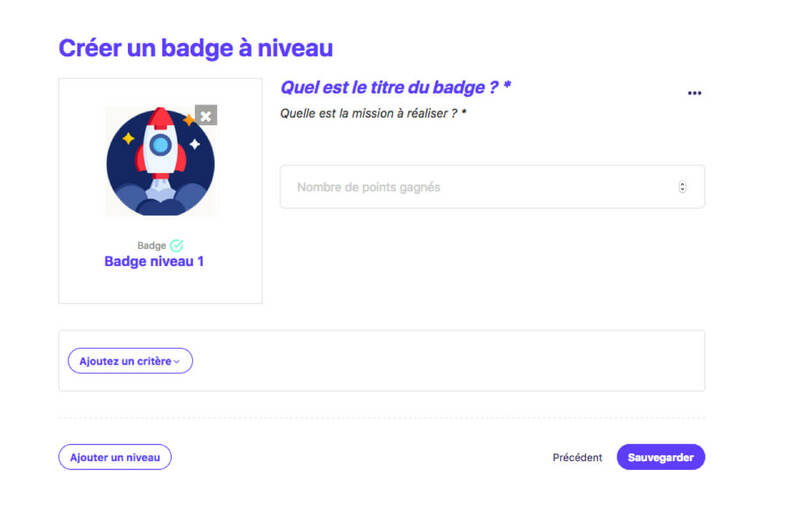 Upload the image of your badge, choose the value of the points that your users will win, and create the mission to achieve through an advanced condition module. 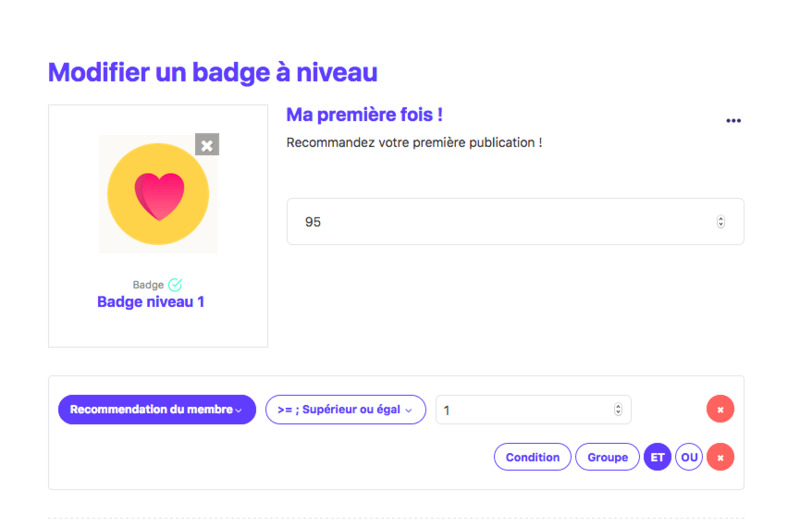 Simple badges or level badges are the two types of badges available at the moment on Potion. A simple badge is acquired once the mission accomplished, a badge of levels proposes several levels of missions. 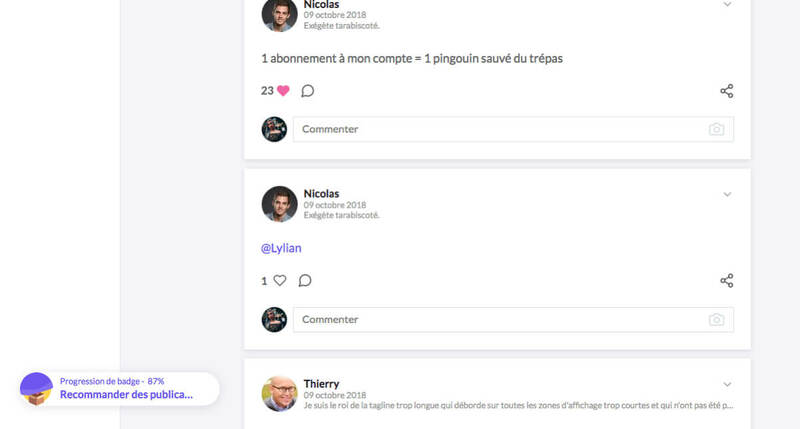 View the list of statuses and their statistics. 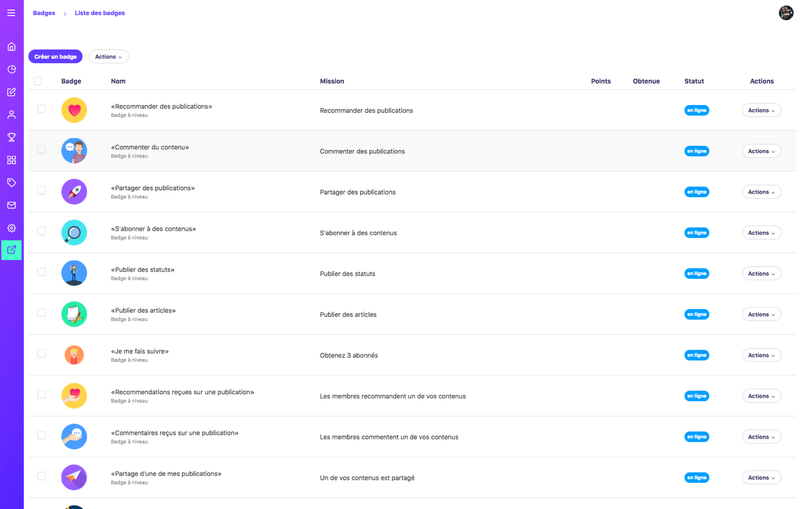 Manage publications with editing, deletion, moderation.